"The cast is perfect and their enthusiasm infectious...A big bravo to this talented troupe and a thank you to the Waterloo East Theatre for welcoming another thrilling production"
"Immersion Theatre skill fully combines horror and comedy...This is a play that is likely to stick in audiences' memories for some time"
Immersion Theatre are thrilled to be presenting the UK Premier of a piece unlike anything that has ever been seen on the London fringe circuit, DOROTHY IN OZ, a skewed adaptation of L. Frank Baum’s “The Wizard of Oz”, by Pittsburgh playwright James Michael Shoberg. 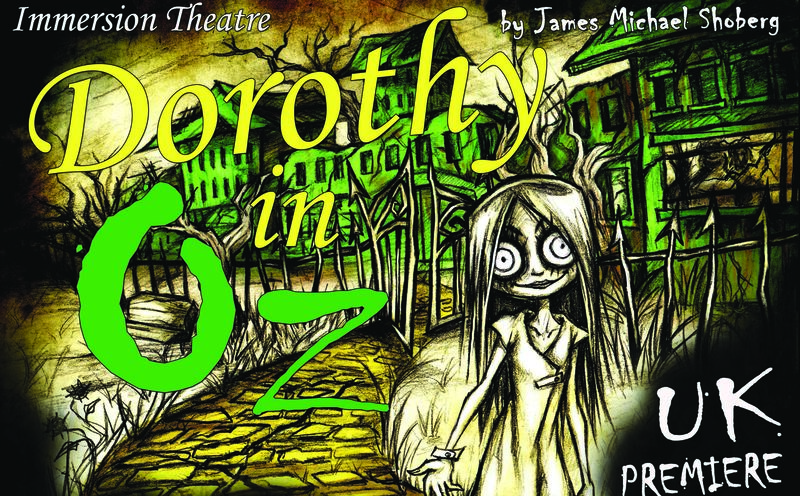 Set in the “Ozlin Centre,” a facility for the mentally ill, Dorothy in Oz follows the story of a bi-polar Dorothy (Dottie) Gale, who is involuntarily committed by her Aunt Em and Uncle Henry. While hospitalized, she is treated with an experimental drug called Cyclozil which causes her to hallucinate a dark, twisted version of the hospital simply called…”Oz.” While in her drug-induced delirium, Dottie encounters Glinda, a somewhat unhinged therapist who informs Dottie that her only chance to be released is to seek the hospital’s mysterious administrator…The Great Oz, himself.